Israeli security forces arrest Hamas terrorist attempting to infiltrate Israel. It has been disclosed that a Hamas terrorist from the Gaza city of Sajaya was arrested in September while crossing the border fence into Israeli territory. 23-year-old terrorist Ahmad Magadi Muhammed Abid joined Hamas in 2013, undergoing military training and training in the use of anti-tank missiles, engineering, and sniping. He also helped dig terror tunnels around his home, and served as a Hamas border guard. In his Israel Security Agency and police interrogation, it was learned that Ahmad Abid took part in digging tunnels near his home. Extensive information was received about tunnels intended for offensive activities against Israel and tunnels designated for fighting Israeli forces inside Gaza. 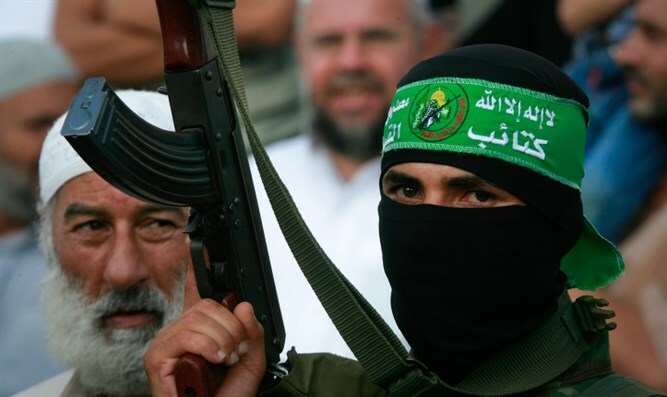 Earlier this month, the IDF arrested a senior Islamic Jihad member after the terror group built a tunnel that stretched from the Gaza Strip into Israeli territory. The IDF destroyed the Islamic Jihad tunnel on October 30. Terror tunnels have been repeatedly found under UNRWA schools, as well as under civilians’ homes. The tunnels stretching into Israeli territory were what prompted Israel to carry out Operation Protective Edge in the summer of 2014.